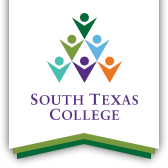 Returning to college after nearly 30 years, Hilda Pedraza said she took advantage of night and online courses at South Texas College, which enabled her to manage a high-paced career along with her goals for higher education. Her resilience and tenacity helped her earn an associate in Public Administration in December 2018 despite a full-time work schedule as city clerk for the City of Pharr. The Associates of Applied Science degree in Public Administration program is designed to provide students with the knowledge and skills necessary for employment in the public sector and not-for-profit programs. The program enables students to understand the political, legal, ethical and social context of public administration and includes areas such as public sector management, budgeting, ethics and supervision. The program includes a three credit hour practicum designed to give the student real-world experience related to the area of their career interest. Hilda says the program has ensured she is ready to complete a bachelor degree in Organizational Leadership or Business Management. “I love what I do. It's never too late for people to go back to school and get education,” Hilda said. “Nowadays, it's very important to get your education and STC has great programs, great teachers, and my overall experience here has been great.